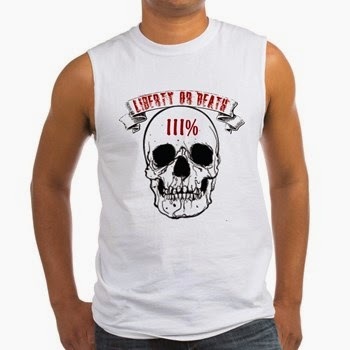 LIBERTY: Planned Obsolescence: Everything You Own is Designed to Fail. 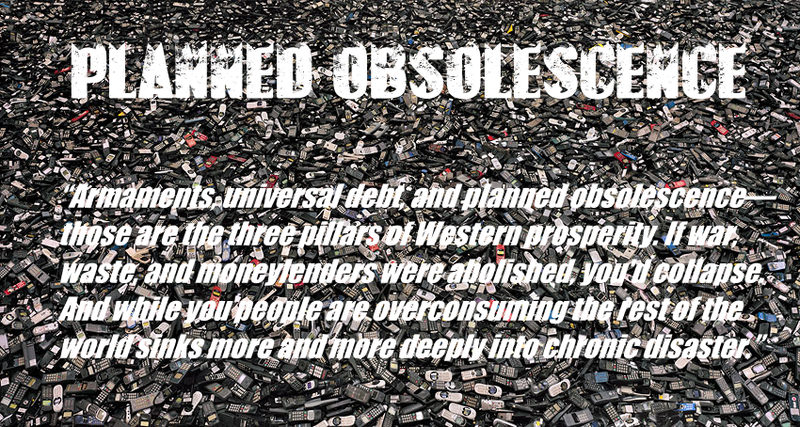 Planned Obsolescence: Everything You Own is Designed to Fail. What is Planned Obsolescence? It is the deliberate design or plan to make a consumer item obsolete, break, cease to be fashionable or otherwise useful in order to decrease the length of the "replacement cycle." This practice is cleverly measured against creating the lasting need of the consumer for the product but to also establish trust in the use of the product while also being able to force the consumer to buy another product within an established time-frame. Planned Obsolescence can be accomplished in a plethora of ways. It can be accomplished via software update, parts designed to fail after warranty, made un-fashionable, inability to buy replacement parts, unreasonable repair costs, deliberately inefficient design, incompatibility with new or previous products, and a lengthy warranty process. I'm sure there are more examples but these are the few that come to mind. Here are a few items that most are familiar with that are designed to fail or become obsolete: Textbooks, Cars, video games, Light-bulbs, ink cartridges, Smartphones, laptops, MP3 players, various software, printers, appliances and a host of other materials and objects. Ink cartridges have been designed with chips within them that limit the number of print jobs that can be accomplished regardless of the amount of ink left within them. Video Games are often made to keep you from being backward compatible. This results in the need for more controllers, games, parts and other ancillary items across multiple platforms. Textbooks are updated more often than they really contain new information. Publishers often change the order of information within the book to make it difficult to follow along with newer versions. This results in an inability to use previous books and forces students that have no other choice, to buy new books that contain little or no new information. Software is similar to video games in that backwards compatibility is rare. A new year requires a new Operating system and with it, new compatible forms of software. Sometimes software is deliberately designed to run slower with newer Operating systems in order to encourage the consumer to purchase a newer version. The need for newer software often leads to the need for newer more powerful hardware. Light-bulbs have been designed to fail after a pre-determined number of hours. Ask yourself how a light-bulb invented by Thomas Edison over 100 years ago is still working in a museum, but the light-bulb you bought last year just burnt out and needs to be replaced? Cars fall victim to planned obsolescence by design, an inability to purchase replacement parts and in some cases basic maintenance is made nearly impossible through cost or an inability to obtain parts. An instance that comes to mind is that on a ford Focus you must replace the airbox in order to replace the first air filter. This turns an $11 dollar job into a $250 dollar job and forces you to replace an entire section of the vehicle that you would otherwise not replace for the life of the vehicle. Consumer electronics such as cell phones and MP3 players fall victim to trickery within the battery as well as other forms of planned obsolescence. Batteries are designed to fail after a pre-determined number of cycles. Replacement batters are sometimes impossible to obtain or gain access to and are sometimes priced just below the price of replacing the entire unit. I've covered a few examples of how things are designed to fail. I hope I've showed you that Planned Obsolescence exists and that it is a problem. We shouldn't be forced to buy substandard goods for the sake of consumerism. Profits should not drive technology and innovation. We sent people to the moon on less technology than you have in your smartphone, why can't we design lasting technologies that would make resources less scarce, more available to the rest of the world and catapult technology and innovation into a new era where what we create does not fail for the sake of stock holders? What do you have to say about it? Are you aware of another product that is designed to fail? Leave us a comment below!